After World War II, the occupation forces brought a cultural change to Japan. The opening of several nightclubs throughout the country saw the import of western musical styles that were popular in the day, such as bebop, jazz, swing, mambo, among others. This also led to the birth of Kayōkyoku (歌謡曲; Pop Tune), which is basically a mix of western and Japanese music, also considered to be the base of what we know as J-pop. Among all the entertainers that flourished in this context, some stars shone particularly brighter. 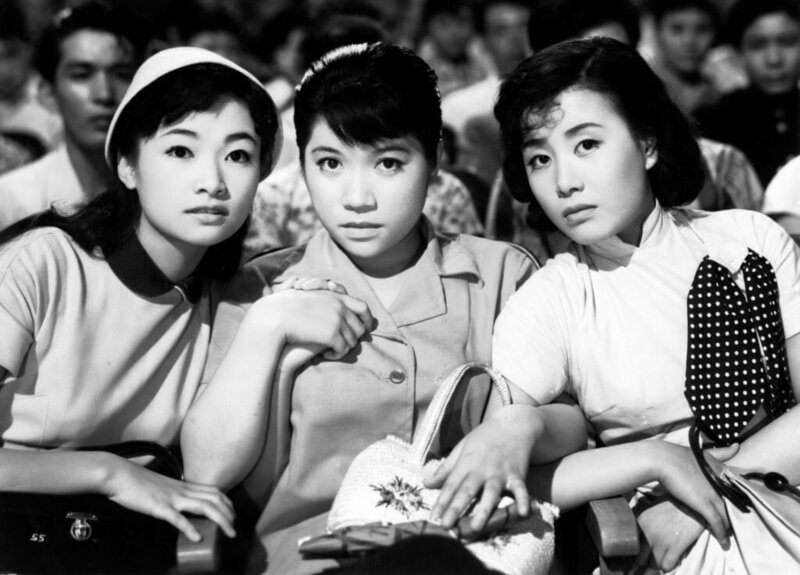 Some of them were three – now-legendary – girls, known as “Sannin Musume” (The Three Sisters), who were the most popular female singers in the early post-war era. All three of them had their own successful, individual careers, but they collaborated on some songs – that haven’t been released due to each of them belonging to different labels – and a total of four movies together, mostly during the 1950s. Their talent and their music brought certain comfort in times that were truly needed, and they’re considered national icons. Born March 20, 1937, Izumi Yukimura was also known as “The Cinderella of the Century.” She covered plenty of styles throughout her career, but she’s perhaps most well known for her jazz and rock & roll tunes. She had a hard childhood: her father committed suicide when she was only 9 years old, and her mother’s company went bankrupt. She was forced to drop out of school and worked for free in a dance hall in Shimbashi out of her desire to become a singer. At 15, she sang American hit songs in cabarets. 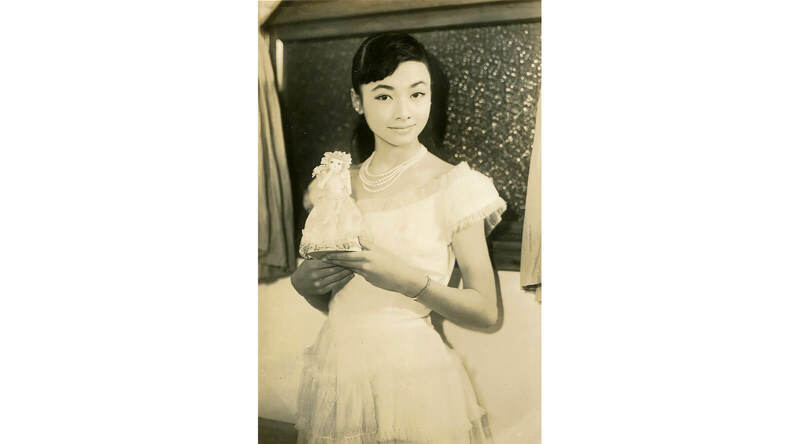 In 1953, she landed a role as the cigarette girl in the Nichigeki Music Hall at the age of 16. She debuted with a rendition of American singer Teresa Brewer’s hit “Till I Waltz with You Again,” known as “Omoide no Waltz” in Japanese. Izumi Yukimura’s fame reached the United States when she appeared on the Dinah Shore Show, a variety show that was broadcast by NBC from 1951 to 1957. She also became the first Japanese entertainer to be featured in the American magazine LIFE. Izumi sang many songs in English, such as “Ain’t Cha-Cha Coming Out T-tonight,” “Ko Ko Mo” and “Blue Canary,” even though she could barely speak the language. “In Japan, people not understand what I am singing, so who cared?” she explains, as reported by LIFE in 1961. Her rendition of foreign songs often included some Japanese verses, an approach she shared with Chiemi Eri. Besides her acting career, Izumi Yukimura also sang the theme song for the Japanese release of the Disney movie Alice in Wonderland. She was born Chiemi Kubo on January 11, 1937. It could be said that she was born from music: her mother was a singer and her father was a musician. As a teenager, she sang in nightclubs for the American occupation forces. There she learned plenty of American pop and jazz songs. At 14 years old, she tasted success when she recorded “Tennessee Waltz” –the first of many hits– with King Records. Throughout her career, she famously blended Japanese folk music with American and Latin tunes, and was supported by Nobuo Hara‘s jazz band in her concerts. She sang foreign songs like “The Quiero Dijiste,” “Bésame Mucho,” “Jambalaya” and the classic “Blue Moon,” to give some examples. Many of Chiemi’s songs were bilingual; she could sing in both English and Spanish, and like Izumi, she also included some verses in Japanese. Chiemi starred in over 50 films and numerous theater plays. She played the titular character in the adaptations of Sazae-san, based on the popular manga series by Machiko Hasegawa. Other notable roles include Eliza Doolittle, from the Japanese Broadway musical adaptation of My Fair Lady. She passed away on February 13, 1982, and is remembered as one of the most popular Japanese singers of the Showa Era (1926-1989). Hibari was born as Kazue Katō (加藤 和枝) on May 29, 1937, from a fishmonger and a housewife. With her stage name Hibari Misora (lark in the beautiful sky), she burst onto the scene with radio shows and films when she was only a child, and her humble origins helped her connect with the common folk. In 1948, she was cheering up the Japanese public with her songs at only 11 years old, and in 1949, she was already recording. She mostly favored ballads, jazz, and was an undoubtedly important enka performer – a Japanese musical genre, usually focusing on themes like tragic love, hometowns, perseverance, and more. Unlike Chiemi and Izumi, she stuck to Japanese – even when she sang foreign songs, like her renditions of the iconic songs “My Way” and “Cry me a River.” Her signature swan-ballad “Kawa No Nagare No Yō Ni” (川の流れのように; Like the Flow of the River) came at the twilight of her life, in early 1989. It was voted as the greatest Japanese song of all time in a poll held by NHK in 1997, and it’s overall one of the most popular Japanese songs. Multiple artists have covered the song (and paid tribute to her), such as Teresa Tang, Mariachi Vargas, The Three Tenors, and more. 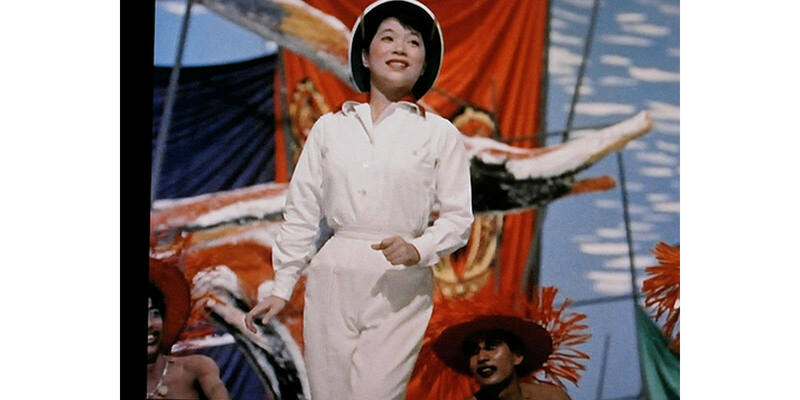 Hibari Misora wasn’t only a popular actress and singer; she was an important cultural icon as well. According to the late Masao Yamaguchi – a Japanese anthropologist – she played a role in helping Japan recover from the war and grow economically. Her contributions earned her a Medal of Honor as well. Hibari Misora passed away on June 24, 1989. She rose to stardom in the early post-war era, not only entertaining but also bringing encouragement and comfort to the Japanese people when they needed it most. For that, she was awarded the People’s Honour Award posthumously, becoming the first woman to receive the award. However, awards aren’t the only way Hibari Misora was honored. A TBS TV drama aired in the year of her death, titled “The Hibari Misora Story” (美空ひばり物語), with Kayoko Kishimoto playing Hibari. The Hibari Misora Museum was inaugurated in 1994, in Arashiyama, Kyoto. There’s a monument depicting Hibari’s portrait with a poem in Ōtoyo, Kōchi. In 2012, Tokyo Dome held a concert in her memory, featuring artist AKB48, Ai, Kiyoshi Hikawa (known as “The Prince of Enka”), among others. And last but not least: there are Japanese TV and radio shows each year that play her songs, celebrating her legacy. Izumi Yukimura, Chiemi Eri, and Hibari Misora were, in some ways, a product of their time. Entertainment can touch us, inspire us and help us get by in hard times, which is exactly what “Sannin Musume”– among other artists – did for a country that was still recovering from the devastating effects of the war. The context in which they lived allowed them to flourish, yet such was their impact that we still remember them fondly today.